When you look back at any of the “Most Anticipated Games of 2015” lists written up last year, you’ll usually find the same games repeating (such as Batman: Arkham City). These hyped games were certainly worth looking forward to. The ones that already released as of this writing were, for most of us, worth the wait. This is a game that everyone is talking about. Yet, few know it’s actually a sequel to a 2008 game called Supersonic Acrobatic Rocket-Powered Battle-Cars. Rocket League is definitely a better name, even if people always have to ask what it is about when they hear it. The best answer, of course, is “soccer but with cars”. This addicting game released in July of 2015, and since then has received a lot of praise for being both simple to understand but very fun to play. Even though it won a lot of awards before releasing, including PlayStation Universe’s “Best Sports Game of E3” and GamingTrend’s “Best Multiplayer Game of E3,” few could have predicted that it would be downloaded more than 5 million times only a month after releasing. FromSoftware’s Dark Souls games became popular last generation for offering us a satisfying level of challenge other big-budget games did not. 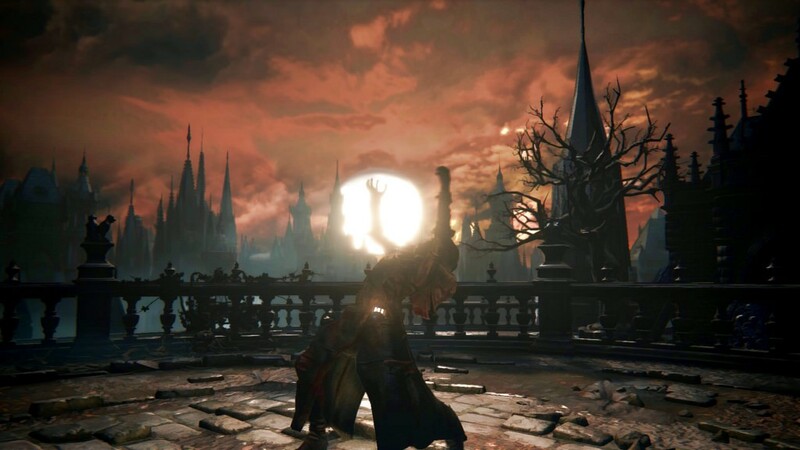 For this reason, Bloodborne was always an anticipated title, but not everyone was expecting it to become one of the highest rated PlayStation 4 games thus far. Currently holding one of the highest Metacritic scores of games released in 2015, Bloodborne has been lauded for offering the same “tough but rewarding” gameplay of the Dark Souls games, but with an even more disturbing (and often frightening) atmosphere. Even the man in charge of Sony’s UK branch admitted that Bloodborne exceeded their expectations when it comes to sales numbers. Obsidian Entertainment has a short but impressive history of working on popular games, including Fallout: New Vegas and South Park: The Stick of Truth. In 2012, they successfully acquired enough funds via Kickstarter to make a new RPG in the vein of old series like Baldur’s Gate and Planetscape: Torment. This game was Pillars of Eternity, a computer title that has been hailed as one of the best isometric RPG games to release in years. The visuals, gameplay, and storytelling have all has been praised, earning it an aggregate Metacritic score of 89. It’s one thing to create a great RPG game for PC, but another to develop one that simultaneously feels like a fresh experience while also harkening to the great classics from late 90s. There’s been a long-lasting problem for Nintendo the past few years when it comes to new IP. New titles like The Wonderful 101 and Zombiu, despite receiving decent reviews, didn’t sell as well as hoped. Many third party developers have ditched the Wii U since only 1st party titles with the names “Mario” and “Zelda” sell well on the platform. Enter Splatoon, a game featuring a unique world with new characters that people can’t stop talking about. Since this is Nintendo we’re talking about, it took many by surprise to see them not only release a “shooter,” but also have it sell well across the globe and receive great reviews. The experimental decision to release free content at a steady pace after release has also proven successful for attracting new players and keeping the rest coming back for more. Ori and the Blind Forest is the perfect example of a sleeper hit. We say this because the opportunity to promote this game was put off in favor of other titles. For example, Call of Duty: Advanced Warfare opened Microsoft’s 2014 E3 conference, even though Yusuf Mehdi said they considered using Ori first. Even without all the attention, Moon Studio’s title released to critical acclaim from fans and critics alike. Review sites who have given Ori and the Blind Forest high scores say it was due to the excellent storytelling, visuals, level design, and gameplay. From start to finish, it is a captivating (and often challenging ) game, enough that some are calling it “a classic metroidvania title.” Moon Studio has already mentioned that Microsoft is interested in a future installment, seeing as Ori and the Blind Forest became profitable for them within a week after launch.